My Top 5 Investment Basics Books, & why? For behavioural finance, Extraordinary Popular Delusions and The Madness of Crowds is a great read describing gullibility, greed and stupidity through history. In this day and age of Crypto currencies, it systematically describes the the South Sea Company bubble of 1711–1720, the Mississippi Company bubble of 1719–1720, and the Dutch tulip mania of the early seventeenth century reminding us that such economic bubbles have always been around and it tries to explain the reasons for such bubbles. Books by Stan Wienstein and Mark Minervini are a must read for anybody looking to invest for long term in potential multibaggers. These books tell us how to make an appropriate entry and the ride the uptrend which may span for years. Berkshire Hathaway Letters to Shareholders : Pretty voluminous, but a gem of collection. Essentially drills down the investment philosophy of Munger and Buffet over a course of multiple decades. Over a period of time you would realise their investment philosophy taking on the new market realities, while maintaining the underlying ethos of buying great businesses. Irrrational Exuberance by Robert J Schiller : Not a book to advice on where to invest per se, but more about how be wary of extraordinary good times. The first four chapters analysing each of large investment areas (equity, bond and real estate) are a must read. The most important takeaway from the book is that one would start appreciating the notion of building wealth in real (inflation adjusted) terms rather than nominal terms, which takes on more importance in the context of high growth, high interest rate economy like ours. The treatise on bond yield spreads and credit cycles is outstanding. Value Investing : From Graham to Buffet and Beyond by Bruce Greenwald : A legendary professor who has retired recently from the Mecca of Value Investing (Columbia School of Business), and known as the guru as of Wall Street gurus, this book brings you two halves. The latter one discusses investment philosophies of legendary value investors, a great place to figure out with whom your inclination lies towards and then deep-dive. The first part primarily deals with valuation and requires some rudimentary financial concepts to get a hold of. The key takeaway from the book is that growth, just for the sake of growth can erode value, and how to properly value growth. Other concepts such as maintenance capex, capital adequacy are wonderfully presented. A must read for anyone with an aptitude for valuation. Damodaran on Valuation : More of a textbook than an investment book, this book remains a hot favourite of anybody willing to value companies and businesses. Though the later parts of the book regarding values of control, synergy and employee stock options are a bit far fetched for value investing (not academically though! ), the first few chapter regarding valuation models (primarily absolute valuation with DCF and relative valuation) merit some serious interest. Would recommend a refresher on accounting basics before trying out this beast. The timeless classics : Common stocks and Uncommon profits, The intelligent investor, Security Analysis, One up on Wall Street and Margin of Safety. A lot has already been discussed regarding these. Does anyone has this book ? I just went thru this thread today. While it is universal fact that bibles of investing include books like Intelligent Investor,one up on wall street, 5 rules for successful investing(Pat Dorsey), Berkshire Hathaway annual letters, The most important thing(Howard Marks),Common stocks uncommon profits etc. In Indian context, " The thoughtful Investor" by Basant Maheshwari is outstanding. I could correlate lot of the context with my way of investing and picking companies. Perhaps,most of us would like to read a book in Indian markets context. Surprisingly, I did not find much mention of the book in this thread. The Thoughtful Investor is the most practical book to read. Other books are classic but a novice will find difficult to read those books. More Indian writers with Indian stock examples is needed. Many of the veteran vp forum members are capable to write such a book. I look forward to buy a book written by any of these members. Not mentioning the names as many worthy members will be left as I don’t follow everyone. What kind of book is One up on Wall Street? 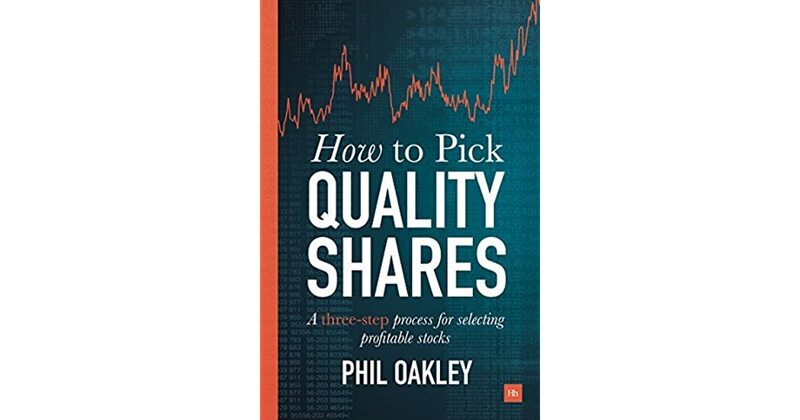 Is it like Pat Dorsey’s book which is actually telling you parameters to look at or is it more general like Common Stock Uncommon Profits by Phil Fischer - which is more general? I am looking for books like Dorsey’s books. I like Dhandho Investing. Also liked a couple of Mary Buffett’s books. The central theme of ‘One up on wall street’ is - it is not necessary to have indepth financial knowledge to get very good returns or to even get ten baggers in the stock market. Peter lynch has not discussed how to analyse the companies financially. The book has to do more with art side of investing than with the science side. So as per your discription this book is not for you. However its a small book and reading and rereading it builds up one’s perspective to look into stock in a certain way. This is a great thread with recommendation for so many timeless investment books. Hope the community finds these books good reads! For security analysis - the edition matters a great deal. The latest and the final one is the 6th edition I think. Regardless of the edition though, Security Analysis contains many mysteries and treasures. It is full of aha moments and then in some patches you need to squint and go slow often with unsuccessful attempts. It must be emphasized however that Ben Graham was as open minded as it can get and for a statistician that’s saying a lot. Unlike the WB school of thought Ben graham paid heed to market prices and considered them as important containers of information. In footnotes that have been lost in the sands of time - Ben makes reference to these things. In short, Ben Graham is awesome. Hi @bheeshma which edition of Security Analysis would you recommend, the current one? The current one is the one with the foreword by WB and there are many commentaries. Footnotes have also been relegated to the back pages. Any edition other than 6. Some ppl like the original 1934 edition however graham made a lot of changes to that in subsequent ones. I would recommend any edition b/w 3 - 5. I have read the book 2 times in the year 2018. Without any doubt, this is the best book on investing by an Indian author. It can compete for sure with the likes of Peter Lynch’s -One up on Wall street" and perhaps better than “5 rules for successful investing” by Pat Dorsey( this book theme is more or less similar like Mr Basant’s book). There are very few investors who show courage to write about the mistakes they have done in their investment career and how they evolved over time; and Mr Basant has mentioned the same with full integrity, honesty and truth.The 400 odd pages is a treat to read and each page delivers a deep message/learning. You will learn a) behavioral investing b)how to pick winners c) how to create a portfolio d) when/what to buy and sell d)different sectors- which ones to pick and avoid. The best thing is all the examples are Indian so you will relate far more to yourself compared to foreign books. Please do read this book to become a mature and peaceful investor. In todays noise, somehow this book did not find its deserving place and thats why surprising that in the thread, not many people contributed. We are slow to appreciate our own people. Once India becomes 10 trillion dollar economy, our confidence will grow in our own people. Many great teachers are there in VP forum, I am eagerly waiting to read a book by our forum members. Please some of you collaborate & write a great book. So far the thoughts & teachings are scattered here over time. Need in one place to understand fully. I think the 6th edition is the 2nd 1940 edition with commentaries from modern investors. I have read only two editions edition 5 and edition 6 . Edition 5 doesnt have any commentaries while edition 6 has a lot of them from the greats. I have seen the first edition but not read it but chapters and index is different from edition 5 & 6. There are differences in edition 5 and 6 too and many things that are present in edition 5 have made way for the commentaries.